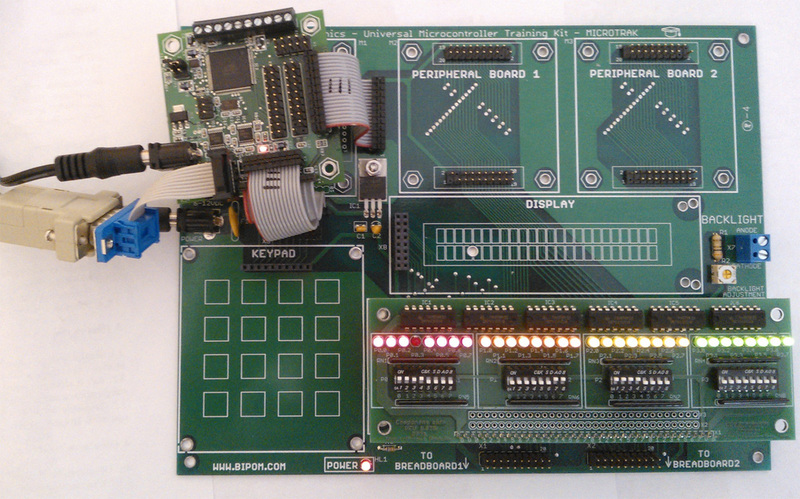 Project includes single file led.ino which contains 3 functions: setup(), loop() and ProcessLeds(). Function setup() is called once when a firmware starts. 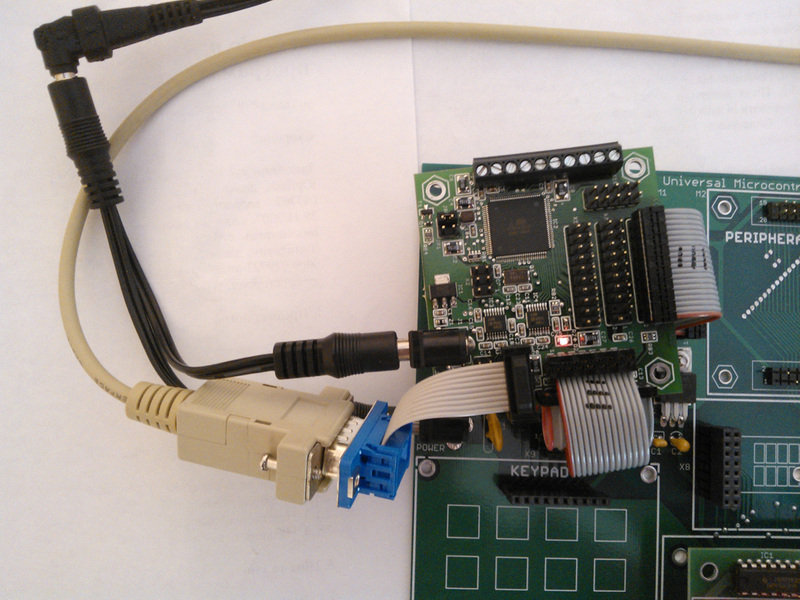 It configures serial port UART1 as 115200, 8N1. Also it prints greeting message to serial port. Function loop() contains software logic. 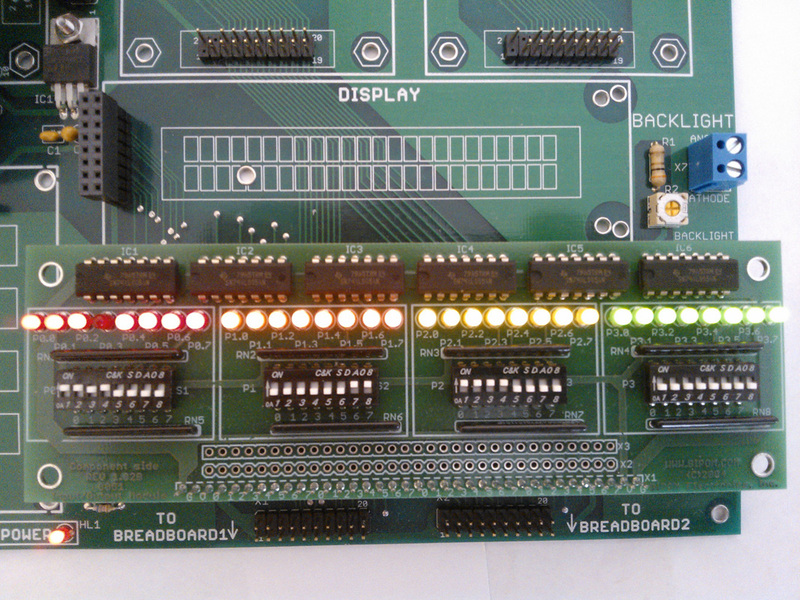 The logic is very simple: call ProcessLeds() function for each switch/leds group on 8051 I/O Module (red, orange, yellow, green) and wait 5 seconds before next iteration. Each switch/leds group configured using special structure defined in led.h file. each group have its name and also set of pins. Some pins can be marked as UNUSED_PIN. This means that pin cannot be controlled from software. 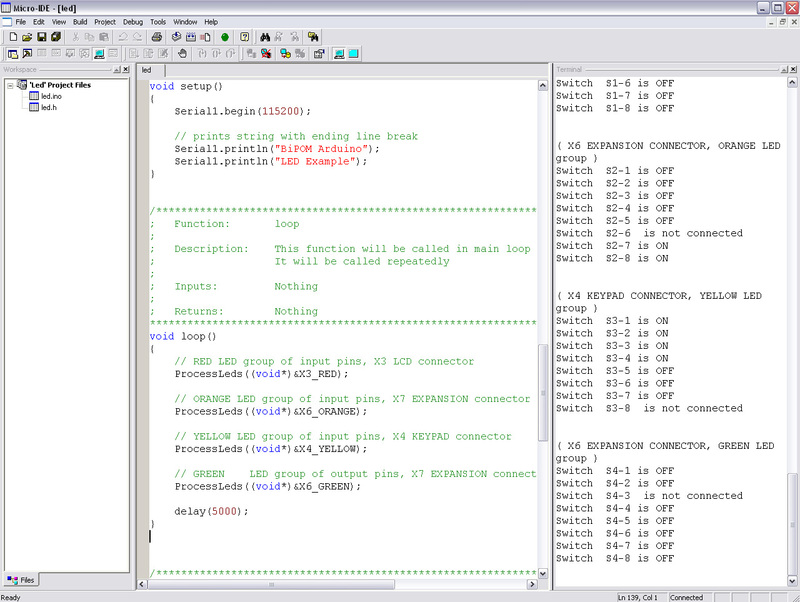 All groups configured as global variables in the beginning of led.ino file. Please see MINI-MAX Microcontroller Board Family Interchangeable Port Mapping for more information. When software is running you should see state of switches in console. Also some leds on 8051 I/O Module should be on.